Bodhidharma, known as “Daruma” in Japan, is often cited as the prime source for all martial arts styles that trace their roots back to the fabled Shaolin Temple. 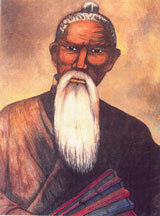 However, the question of his contributions to the martial arts and to Zen Buddhism and even of his very existence has been a matter of controversy among historians and martial arts scholars for many years. As legend has it, the evolution of karate began over a thousand years ago, possibly as early as the sixth Century A.D. when Bodhidharma arrived in Shaolin-si (small forest temple), China from India and taught Zen Buddhism. He also introduced a systematized set of exercises designed to strengthen the mind and body, exercises which allegedly marked the beginning of the Shaolin style of temple boxing. 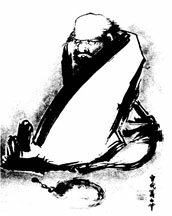 Bodhidharma’s teachings later became the basis for the majority of Chinese martial arts. Okinawa is a small island of the group that comprises modern day Japan. It is the main island in the chain of Ryuku Islands which spans from Japan to Taiwan. Surrounded by coral, Okinawa is approximately 10 km (6 mi) wide and only about 110 km (less than 70 mi) long. It is situated 740 km (400 nautical mi) east of mainland China, 550 km (300 nautical miles) south of mainland Japan and an equal distance north of Taiwan. Being at the crossroads of major trading routes, its significance as a “resting spot” was first discovered by the Japanese. It later developed as a trade center for southeastern Asia, trading with Japan, China, Indo China, Thailand, Malaysia, Borneo and the Philippines. In its earliest stages, the martial art known as “karate” was an indigenous form of closed fist fighting which was developed in Okinawa and called Te, or ‘hand’. Okinawa had always experienced problems with rivals, but in 1429 the kingdoms were united and in order to maintain this unity, a decree was issued which banned possession of all weapons. This seemed to work well until 1609, when Okinawa was conquered by the rulers of the Satsuma Domain of Kyushu. Obviously, there was no incentive for the new rulers to permit the Okinawans to own weapons and they even put restrictions on their farming implements that could double as weapons. Without weapons for defense, the Okinawans were encouraged to develop the refinement of empty-hand techniques and, for this reason, Te was trained in secret. Te continued to develop over the years, primarily in three Okinawan cities: Shuri, Naha and Tomari. Each of these towns was a center to a different sect of society: kings and nobles, merchants and business people, and farmers and fishermen, respectively. For this reason, different forms of self-defense developed within each city and subsequently became known as Shuri-te, Naha-te and Tomari-te. Collectively they were called Okinawa-Te or Tode, ‘Chinese hand’. Gradually, karate was divided into two main groups: Shorin-ryu which developed around Shuri and Tomari and Shorei-ryu which came from the Naha area. “It is important to note, however, that the towns of Shuri, Tomari, Naha are only a few miles apart, and that the differences between their arts were essentially ones of emphasis, not of kind. Beneath these surface differences, both the methods and aims of all Okinawan karate are one in the same”. Gichin Funakoshi goes further to suggest that these two styles were developed based on different physical requirements. Shorin-ryu was quick and linear with natural breathing while Shorei-ryu emphasized steady, rooted movements with breathing in synchrony with each movement. The Chinese character used to write Tode could also be pronounced ‘kara’ thus the name Te was replaced with kara te – jutsu or ‘Chinese hand art’ by the Okinawan Masters. This was later changed to karate-do by Gichin Funakoshi who adopted an alternate meaning for the Chinese character for kara, ’empty’. From this point on the term karate came to mean ’empty hand’. The Do in karate-do means ‘way’ or ‘path’, and is indicative of the discipline and philosophy of karate with moral and spiritual connotations. And your humanity as observed in daily life. The first public demonstration of karate in Japan was in 1917 by Gichin Funakoshi, at the Butoku-den in Kyoto. This, and subsequent demonstrations, greatly impressed many Japanese, including the Crown-Prince Hirohito, who was very enthusiastic about the Okinawan art. 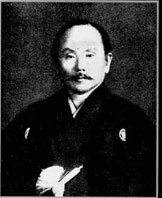 In 1922, Dr. Jano Kano, founder of the Japanese art of Judo, invited Funakoshi to demonstrate at the famous Kodokan Dojo and to remain in Japan to teach karate. This sponsorship was instrumental in establishing a base for karate in Japan. As an Okinawan “peasant art,” karate would have been scorned by the Japanese without the backing of so formidable a martial arts master.